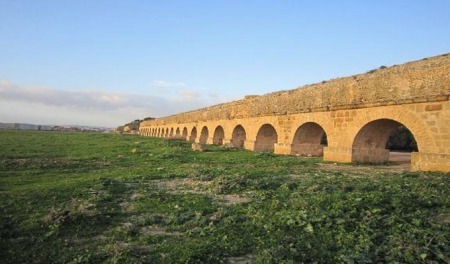 When Carthage grew in size huge quantities of water were needed, Zaghouan was the place that supplied the water from its natural springs through a 132 kilometer aqueduct ending in Carthage. Half way through from Zaghouan to Carthage is Oudna: an extremely promising site compared by archeologists to Carthage. Zaghouan is one of the few small cities of Tunisia whose population has a unique and special character. It consists largely of descendants of the expelled Moors of Andalusia, where Othman Dey established a settlement in the early seventeenth. 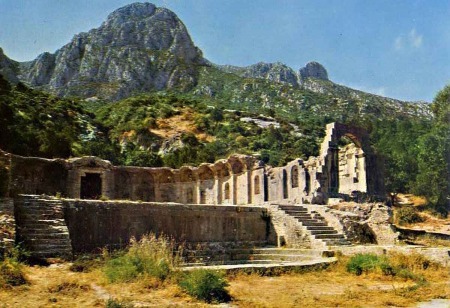 Well known, since antiquity, for its springs and its pure water, the Zaghouan region early became a source of water supply for Carthage but also an agricultural landscape structured by the wheat fields and olive fields’ terrain and the production of the chechia, the national headgear of Tunisia. Oudna was a Roman settlement, better known as Uthina. Access from Carthage is by vehicle and this was also an airbase in the Second World War. When you arrive in Oudna the one thing that will stand out is the magnificent amphitheater which is partly carved into the hillside. The amphitheater used to seat up to sixteen thousand spectators and is an impressive sight to see. Other amazing ruins include the forum with its beautiful mosaics. There are also temples, vaults and bath houses scattered around this ancient city. Wandering around Oudna will give you a true sense of what it must have been like living in Tunisia all those centuries ago. While excavation work is still being carried out, there are many of the ruins, cisterns and temples that you can visit and experience yourself. Transportation with air-conditioned private car or Micro bus. The services of a licensed speaking guide. Entrance fees to sites and museums included in this tour.